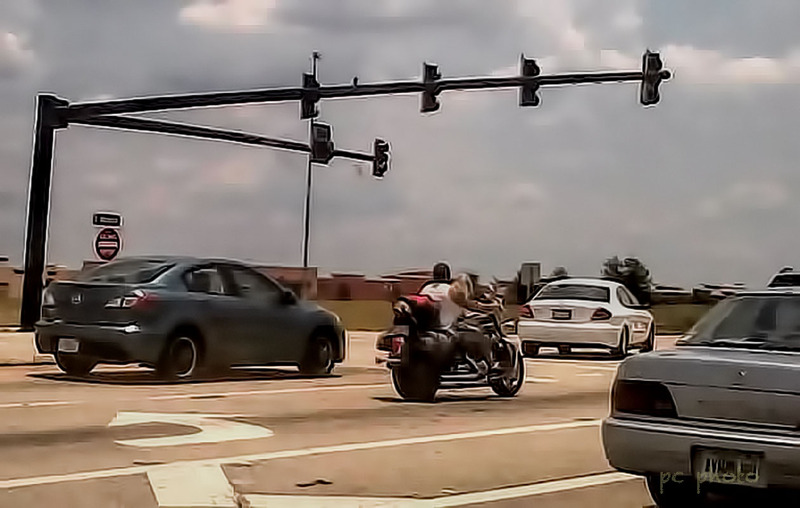 ON THE ROAD…what was this motorcyclist thinking??? riding your dog on the gas tank of your motorcycle is irresponsible. The quality of the photo is far from pristine however a cellphone camera was the quickest way to capture this scene. Unfortunately the license number is unclear otherwise I would have turned the picture over to the authorities.